For some types of timelines, you may want to highlight how much time is between some of its key events. 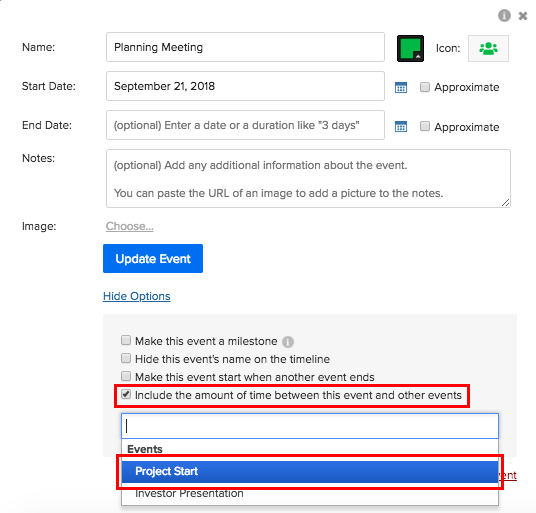 With Preceden, there's an easy way to display the length of time between one or more of these events. As an example, maybe you want to know how long the Planning Meeting is after the Project Start. 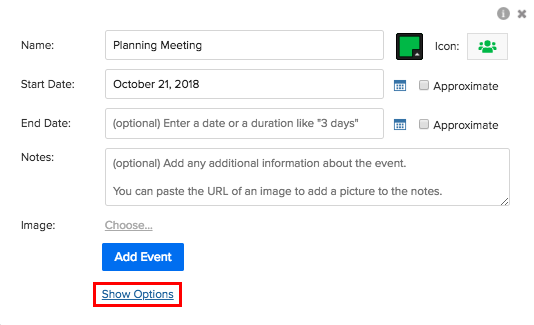 You can even select multiple events. For example, maybe you want to see how long after the Project Start your Planning Meeting is, but also how long until the Investor Presentation. This makes it incredibly easy to tell at a glance, how much time there is between key events on your timelines.